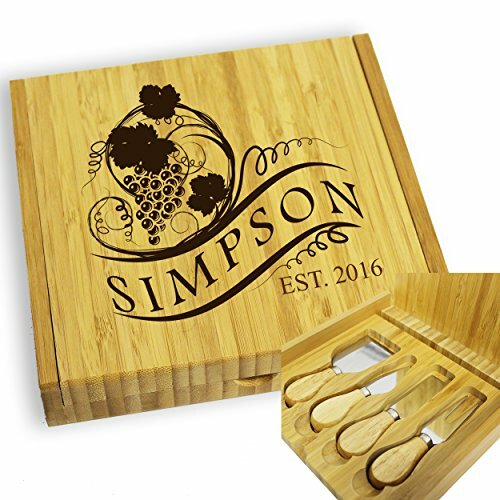 This custom engraved sturdy bamboo cheese board set comes with 4 stainless steel serving utensils with matching bamboo handles. The beautiful set is far from cheesy, being the perfect accessory for your wine nights, house parties or even the ideal gift for a friend! GREAT GIFT - Perfect for that cheesy person who values cutting cheese in style!